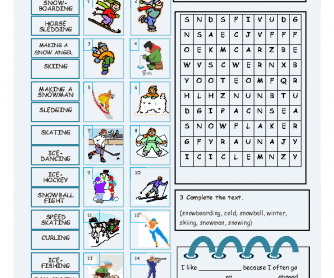 Students have to match some pictures with some words related to winter, find some other words in the word search, and complete a text about winter. 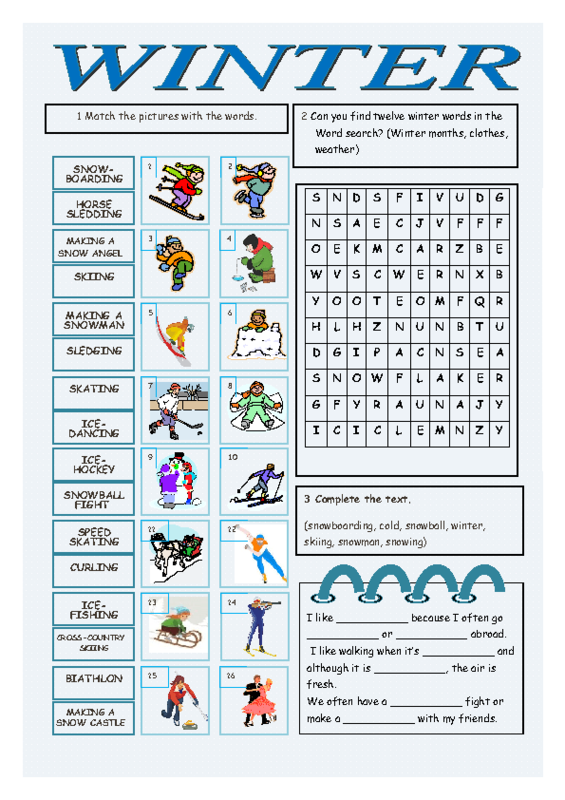 The worksheet can be used for teaching and revising vocabulary related to winter, sports, activities, weather and clothing. If you download it, would you rate it, please! Thank you.